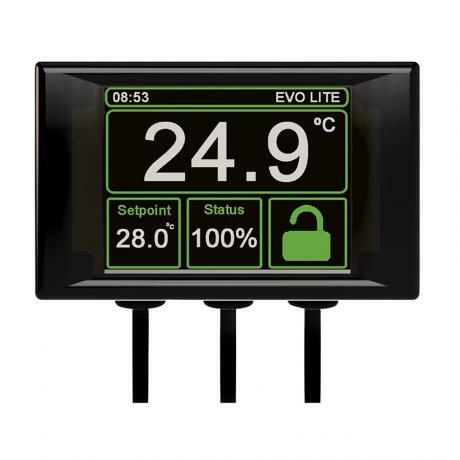 What are Microclimate EVO LITE thermostats used for? 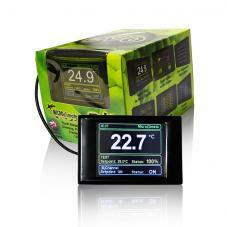 Say Hello to the Microclimate EVOs Little Brother. 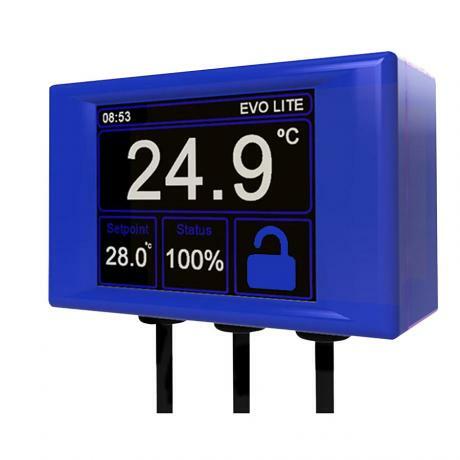 Presenting the EVO Lite its an EVO only smaller, no more separate screen and processor it all fits in to a box the size of a B1 dimmer stat. 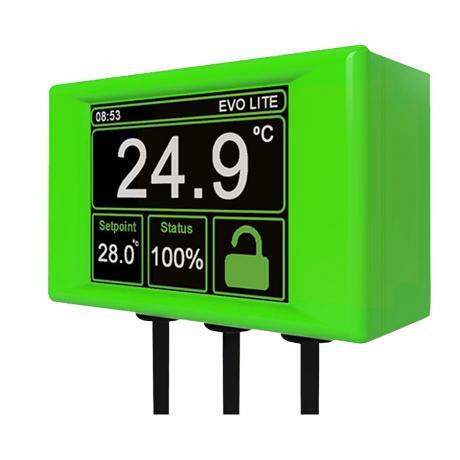 The EVO lite is a fully customisable, touch screen, single channel, colourful version of its big brother. 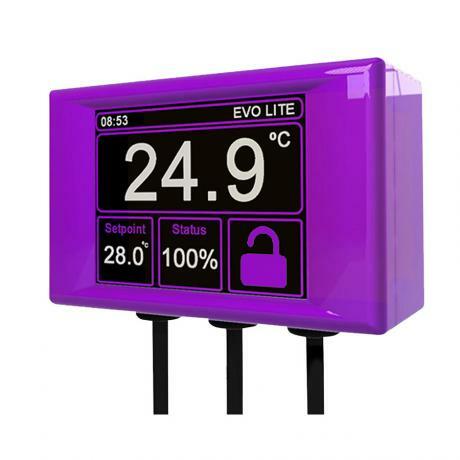 Choose your colour fluorescent green, fluorescent pink, royal blue, cadburys purple, white or good old black. 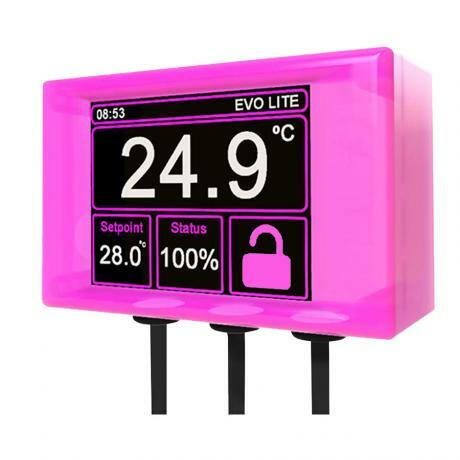 Not only can you choose the colour of the box you can also change the colour of the on-screen text and boxes, love pink buy a pink one and make the text pink, buy a green one and make the text purple the choice is yours!